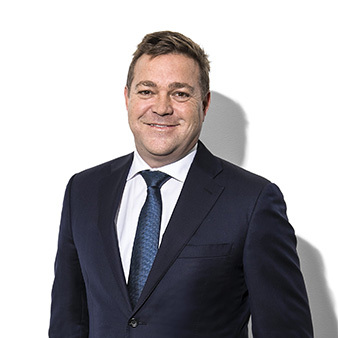 Loan Market was founded in 1995 by Sam White and originally launched as Ray White Financial Services. 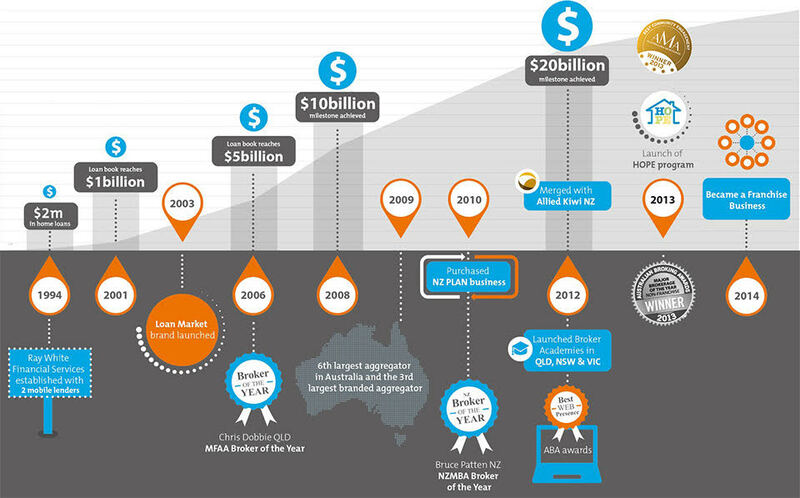 Over the years, Loan Market has emerged as its own franchise business with the relationship with the Ray White network remaining strong. Working with Ray White is one of the biggest referral opportunities in the financial industry. Each year, Ray White puts more than 140,000 properties up for sale and its agents are in contact with countless more potential customers at open houses and during the home buying process. Loan Market will work with you to maximise the ‘Ray White connection’ for your business. Through insight and experience, we’ve embraced all the benefits of franchising – such as strong branding, lead generation and excellent support systems – and removed the pitfalls and restrictions that can be associated with owning a franchise. At Loan Market, we believe a franchisor’s role is to help their franchisees grow their business. Our business has been built on more than just great systems and technology - a key ingredient to our success are the personal connections within our network of staff and franchisees. Our franchise offer is designed to provide motivation, tools and support that empowers our franchisees to define and achieve personal success. To grow an outstanding family of businesses that empower customers to make better financial decisions and to be the most trusted brand in personal financial advice. 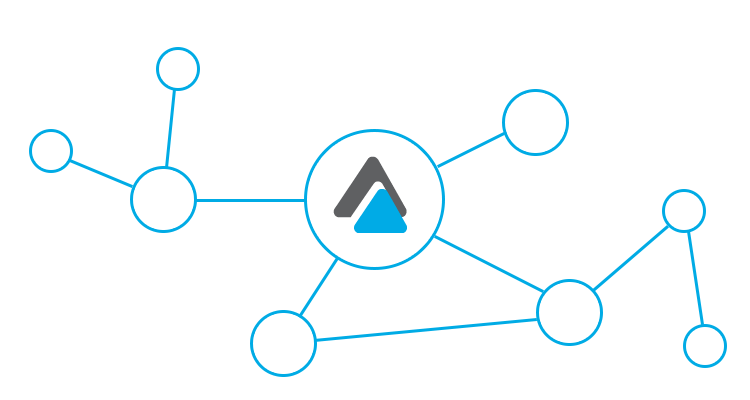 Create a network of professionals offering their communities financial expertise, unbiased comparison and leading technology and digital experiences. Good old fashioned advice at home in the 21st century. Care, kinship and building close long-term personal relationships is at the heart of everything we do. We are a family business, our franchises are family businesses, and we help families achieve their property and financial dreams. Leadership, respect and nurturing are part of our DNA. Family defines us and is what makes us unique. Trust is our most valued asset. Honesty and reliability are the foundations of our reputation. An open, straightforward and knowledgeable dialogue defines our approach. Commitments aren't made lightly - we do what we say we will do. Acting with impeccable integrity is what sets us apart. Our reputation and future success depends on it. A restless, persistent curiosity drives our sense of ambition. Our energy, persistence and tenacity compels us to find a better way to explore this together. We respect the past, but are not beholden to it. We see potential everywhere, and we see it in everyone. We strive to reach this potential, and to help others reach theirs. Curious ambition is the key to our future success. We have a responsibility to ourselves and the people we work with and for everyday. We are accountable, disciplined and dependable. Our personal performance matters. We are owners - not renters - who take responsibility for improving the outcomes we produce and the environments we operate in. Taking responsibility shows we can be trusted and shows we care. We understand that feedback is essential to continually improve and optimise a business. Our Customer Satisfaction program gives us insight on how our customers rate their experience with us. 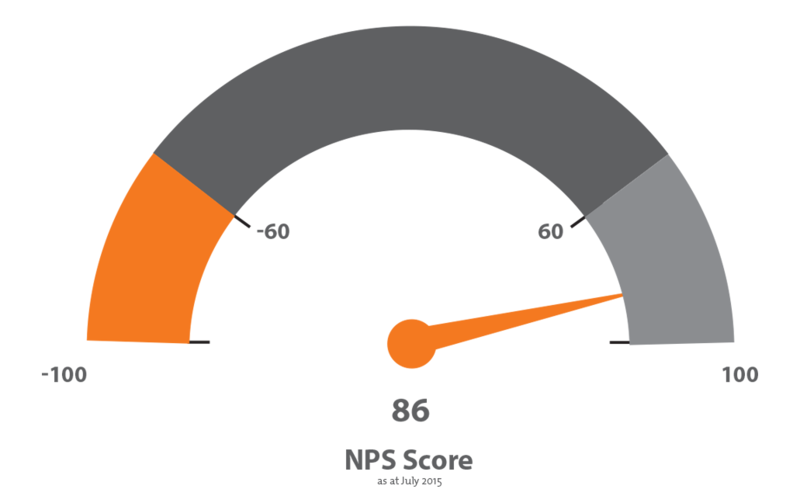 This service is free to all our Loan Market franchisees and it allows you to benchmark individual performance against the national level, access client testimonials and see who would use your services or recommend you in the future. We are proud and confident of the positive reputation that our brokers have built for Loan Market. We encourage customers to rate and review their service and they can leave comments on consumer review sites such as productreview.com.au. The results speak for themselves.